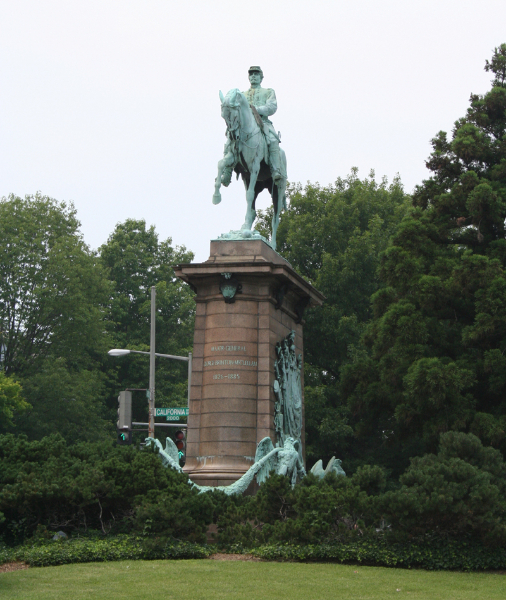 In 1893 the city of Philadelphia unveiled a statue of McClellan sculpted by H. J. Ellicott of Washington, D.C. A couple of years later, in 1901, a commission was formed and charged with erecting a statue for McClellan in the Nation’s Capital. 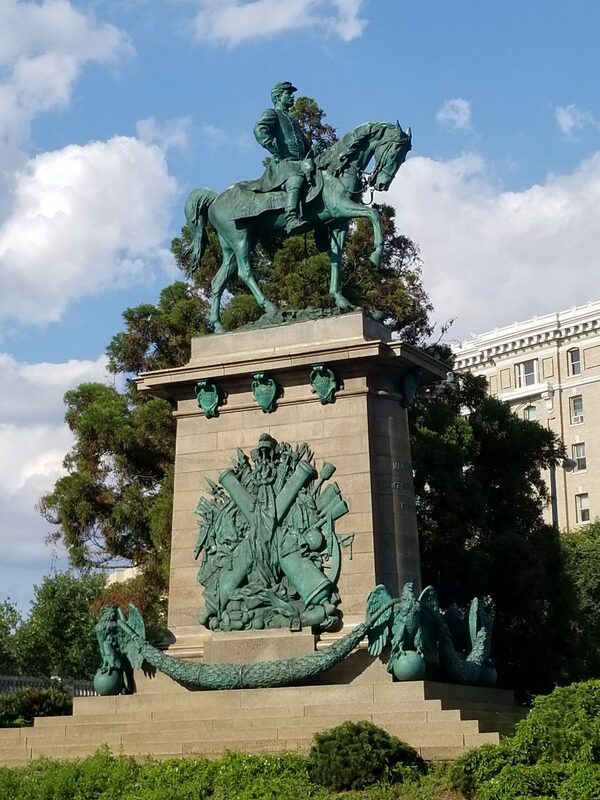 General Lucius Henry Warren was the first to suggest a statue to Gen. McClellan and brought the idea to the Society of the Army of the Potomac. Warren, subsequently, was a member of the committee from inception to the unveiling. 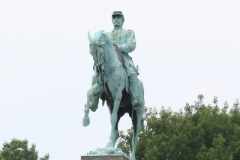 The commission opened a competition for U.S. citizens for an equestrian statue of Gen. George Brinton McClellan. 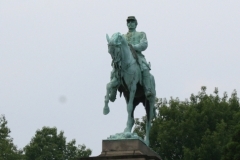 The cost of the statue and pedestal was not to exceed $60,000 including incidentals. In 1902 the competition was narrowed to four people – three from New York City, and one sculptor from Rome Italy. These four competitors were asked to create larger models, and in 1903 those subsequent models were all rejected. 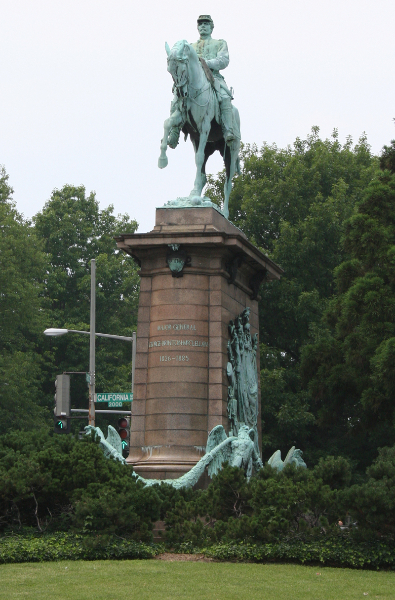 The commission then unanimously chose Frederick MacMonnies, a sculptor from New York City who had not been part of the original competition, to design the statue. The original suggestion for placement of the statue was the lawn south of the State Department, which, in 1903, was located at 17th and Pennsylvania in what is now called the Eisenhower Executive Office Building (Old Executive Office Building). In 1906, when the commission first announced the projected unveiling date, the location was set for the triangle park at Connecticut, 18th Street and N Street, N.W. – the current location of the Dr. John Witherspoon statue. 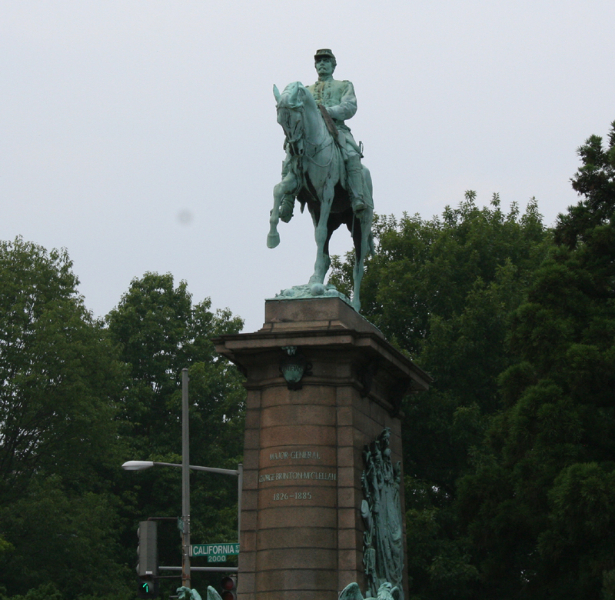 Finally in 1906, Secretary Taft, then president of the McClellan statue committee, moved the location of the McClellan statue to the triangle intersection at Columbia Road and Connecticut Avenue in front of the Highlands – now the Hilton – which he thought to be more “satisfactory and imposing” than the park at the corner of Connecticut and 18th. In September there was fire that destroyed the polishing works of the contractor who was manufacturing the pedestal for the statue, and therefore the unveiling date of October 18, 1906, had to be postponed. Finally in late December 1906 the commission announced that the unveiling would take place in 1907. The statue was unveiled on Thursday, May 2, 1907. President Theodore Roosevelt presided over the ceremony and gave a lengthy talk. 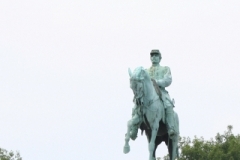 The dedication ceremonies were attended by the members of the Society of the Army of the Potomac who met in Washington to hold there 37th annual reunion and to attend the unveiling of the statue. Also in attendance were members of the societies of the Tennessee, Cumberland and Ohio.